If you’ve read my guide to Non-Toxic Toys, you’ll know I’m a fan of reducing exposure to toxins in baby and kids’ products wherever I can. But finding non-toxic bath toys (and bathtubs) that hold up well in warm bath water can be a little more challenging. This guide will help you with that and arm you with everything you need to know to make safer bath toy choices. So when my Little Lady was a baby I pretty much avoided them. The trouble was, bath time has always been a bit of a struggle in our house. When my daughter was a toddler I had to get down on all fours, pretend to be a lion and carry her to the bath tub on my back. Other times, I’d simply get in with her and make up silly songs to distract her from the evil (mwah ha ha) hair wash! So I decided to research non-toxic bath toys in a bid to find some safer bath toys that would make washing more fun (although me on all fours as a lion is pretty hilarious for everyone, um, except me!). 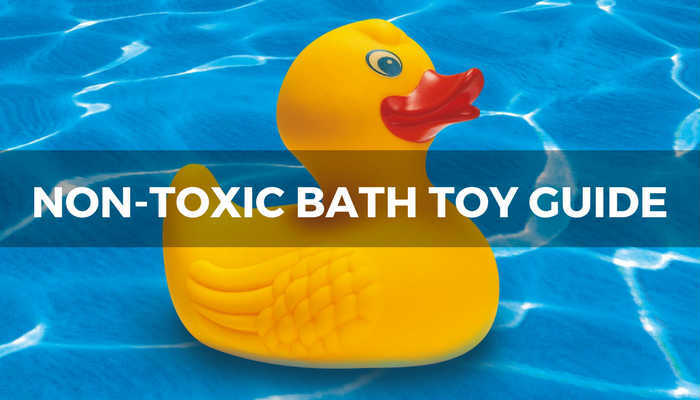 Read on to find out what to look for when shopping for non-toxic bath toys, as well as my favourite non-toxic bath toys brands. Bath toys are often made of plastic and it’s widely believed that chemicals, such as BPA, are more likely to leach when exposed to heat such as bath water, where chemicals can be absorbed by the skin. So when shopping for non-toxic bath toys, look for toys labelled ‘BPA, PVC and phthalate free’. BPA (Bisphenol A), PVC (polyvinyl chloride) and phthalates are all suspected endocrine disruptors. Endocrine disruption has been linked to conditions ranging from obesity and female hormone problems to thyroid issues and even cancer. Although BPA has now been banned in baby bottle in the US and UK, this is not the case with toys, although limits are starting to be put in place. Be wary of BPA alternatives, such as BPS (Bisphenol S), as research suggests they may not be any safer. 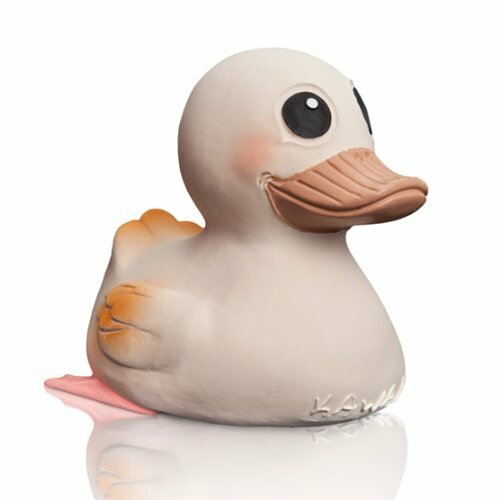 PVC (that soft plastic you find in many bath ducks and toy dolls) is made soft by adding phthalates and Bisphenol A (BPA) and contains high levels of chlorine. This releases dioxins during the manufacturing process, which has been linked to a number of health issues. Another thing to be aware of is that all plastic is categorised with a number from 1 to 7, depending on the type of resins it contains. Although products don’t always list the type of plastic used, products made from #2, 4, and 5 are generally considered safer. Whilst one of the problems with the whole plastic debate is the lack of conclusive evidence as to the impact of chemicals such as BPA, on human health, science is increasingly suggesting they’re not nearly as safe as we once thought. This recent study also found 80% of the teenagers they tested had hormone-disrupting contaminants from the plastics industry in their blood and urine. So where I can, I err on the side of caution. 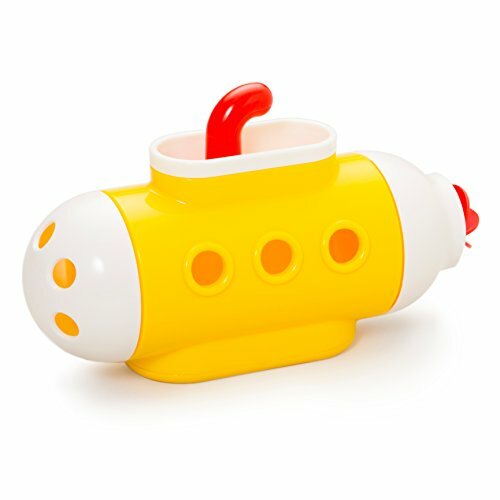 Here are my favourite non-toxic bath toy brands, including non-toxic plastic bath toys, wooden bath toys, rubber bath toys, baby bath toys and non-toxic bath crayons. 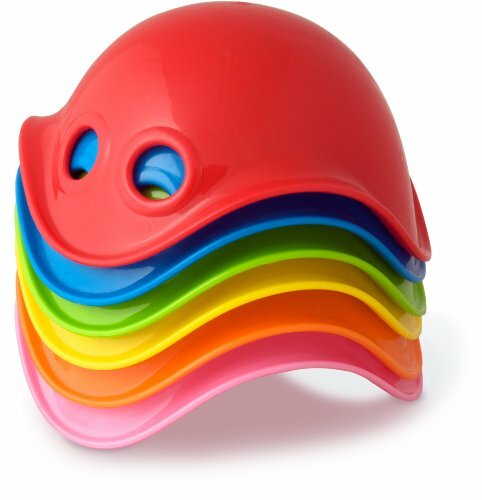 Whilst I aim to avoid plastic where I can, Green Toys are hands down my favourite non-toxic toy brand. 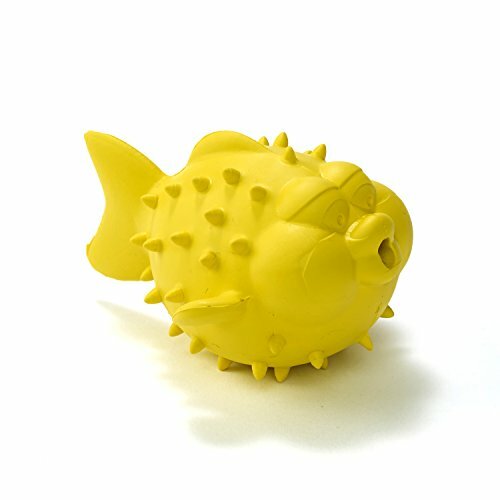 They create some wonderful toys suitable for the bath tub. Their submarine is an award winner and best seller. Or try these cute stacking cups for a non-toxic baby bath toy option. Green Toys also have a great green ethos and their products get consistently rave reviews from parents. Materials Used: 100% recycled plastic from milk jugs. The plastic is HDPE #2 plastic, widely considered safe). 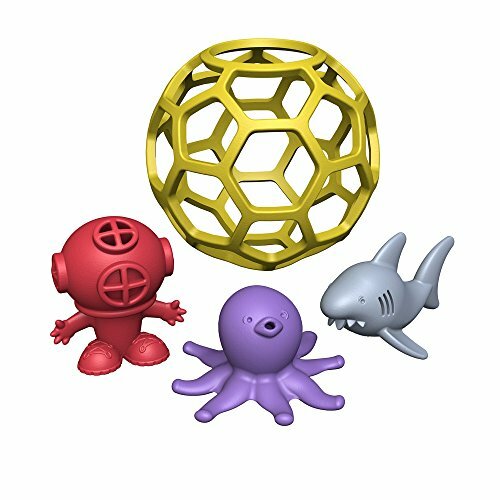 Bath toys are BPA, Phthalates and PVC free. Toys are made in the USA. 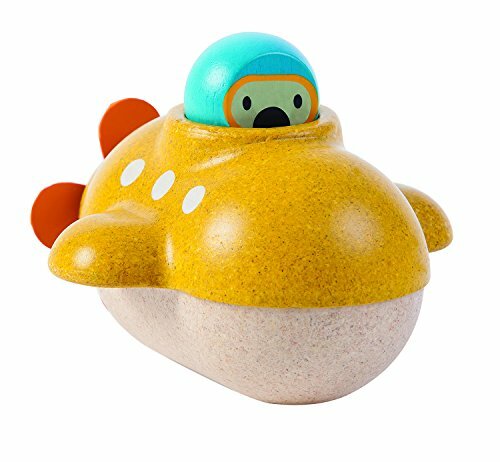 The Moluk Plui Rain Cloud Tub Toy, (although a mouthfall to say!) 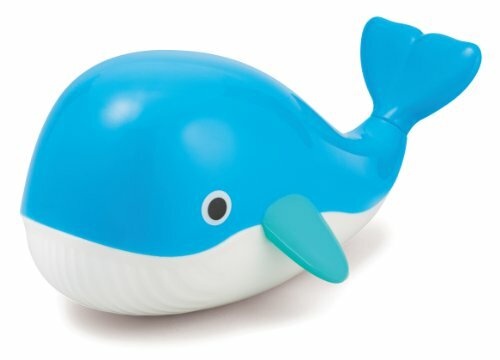 is a pretty cool bath toy. You fill it up with water and watch it ‘rain’. Kids can stop the flow with their finger, making it a great interactive toy for kids to experiment with. It also teaches them about the cycle of water. The cloud also opens so you can easily clean it, preventing bacteria and old build up. There’s also a Moluk Plui Cloudy Brush and some funky Mini Bilibo stacking cups, which are suitable for the bath. Materials Used: ABS* and HDPE plastic. Products listed as ‘BPA and phthalate free’. The Rain Cloud and Brush contain ABS (#7) plastic and the the Mini Bilibo stacking cups HDPE (#2) plastic. *My only possible concern with ABS plastic is that it his falls under plastic category #7, which is an ‘Other’ category and a bit of a catch all for plastics that don’t fit anywhere else. ABS can sometimes be combined with polycarbonate (BPA), so it’s important to know what type of ABS is being used. (yes, plastic is a bit of minefield!) However, where a product states that it’s BPA free (as all the products featured here do), it suggests they are safe and non-toxic to use. There’s a balanced article on whether ABS plastic is toxic here if you want to find out more. Boon make some great interactive bath toys. Designs are simple yet engaging, with an emphasis on fun problem solving for little hands. 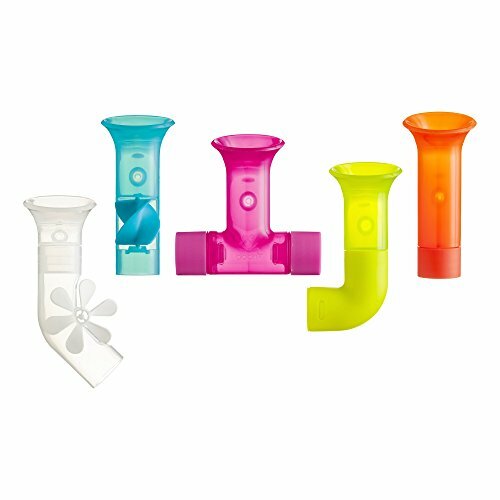 These funky bath pipes are a popular choice. Materials Used: Products listed as BPA and PVC free plastic, although I couldn’t find specifically which type of plastic is used. 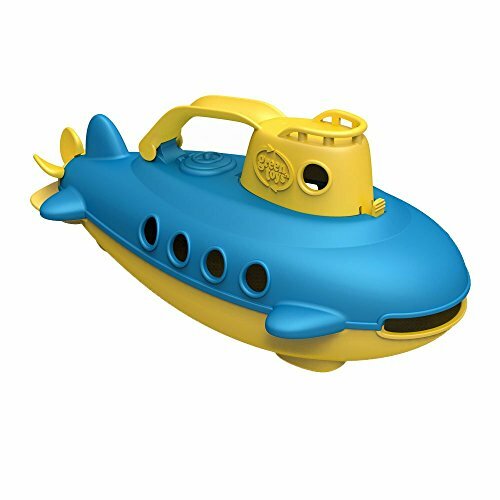 Kid O offer some fun bath toys with a nautical and ocean theme. 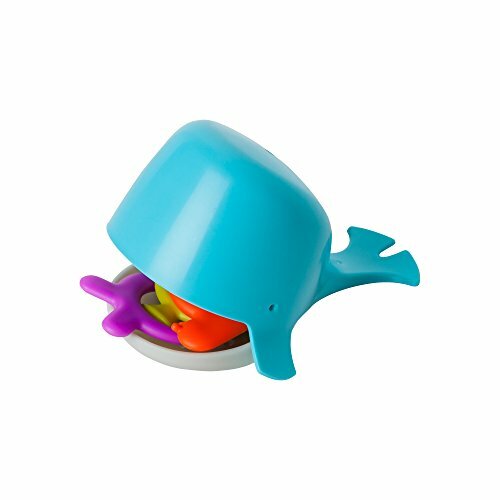 Although not the cheapest option, the Floating Whale Bath Toy and Floating Tug Boat are both completely sealed, making them good options for bath toys without holes (holes can encourage mold/bacteria build up). Materials Used: ABS plastic. Products are listed as PVC, Phthalate, BPA free. 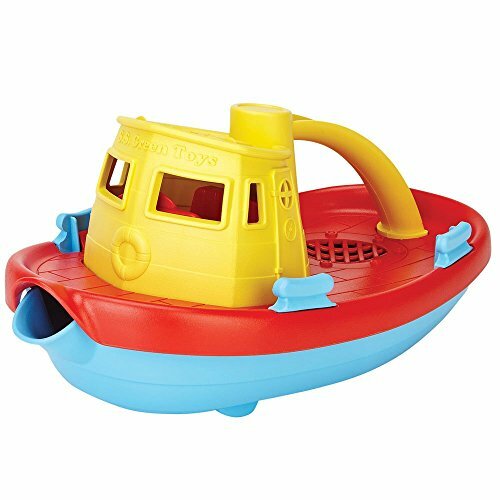 Plan Toys are another personal favourite non-toxic-toy brand and they offer some great wooden toys suitable for the bath tub. 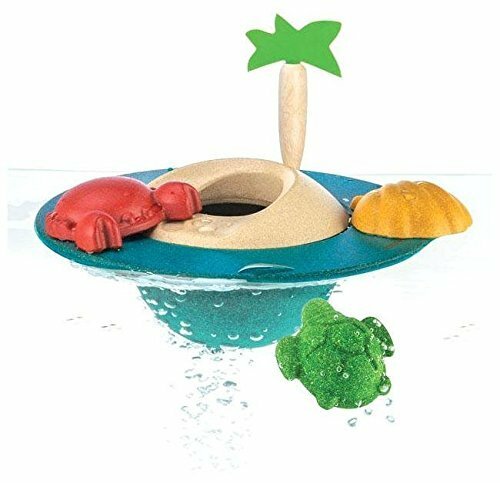 Fun options include the Sea Life Bath Set and wooden submarine. Materials Used: Wood from natural rubber wood trees, in conjunction with their trademarked PlanWood, another high quality, safe and sustainable material. BPA, PVC and Phthalate free. Glues are non formaldehyde and dyes water based. 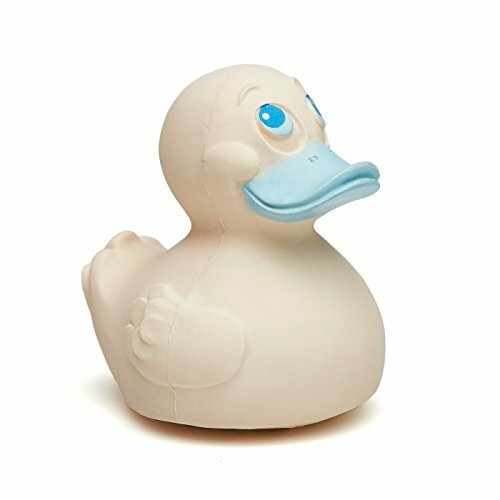 Ditch the PVC plastic bath ducks in favour of a non-toxic rubber option instead! Natural rubber (not synthetic rubber, which is is oil/petroleum based) is the protein in the sap of the Brazilian rubber tree (Hevea brasiliensis). Sometimes referred to as a latex, it’s completely natural and also biodegradable. Note that, although rare, some people can have a latex rubber allergy. 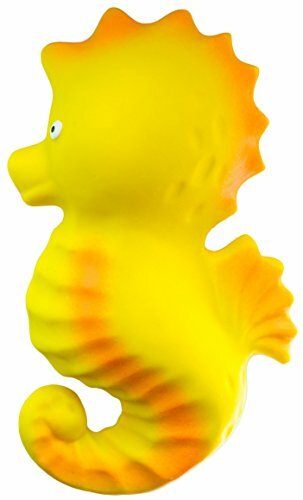 Here are some non-toxic bath toy brands that produce 100% natural rubber ducks, as well as other rubber bath toys. 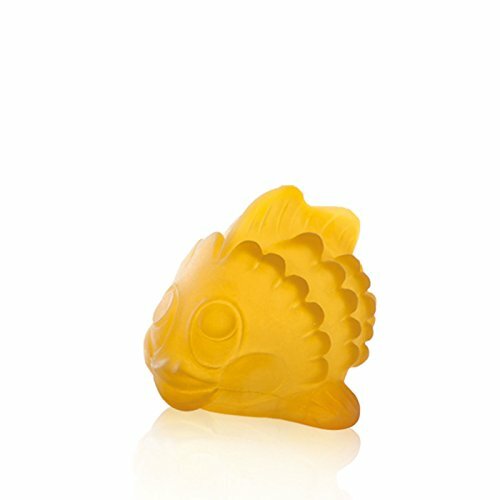 If you’re looking for non-toxic, no hole bath toys, definitely consider Danish based Hevea. They specialise in non-toxic bath toys and create them in a one-piece design, so there are no holes, cracks or joints for bacteria to hide in, making them a great non moldy bath toy option! Their bath toys are a bit on the pricier side though. Materials Used: 100% natural rubber from Malaysia. Colours in the Kawan bath toy are natural food based pigments from vegetables/plants (note colour may fade over time). BPA, PVC and Phthalate free. 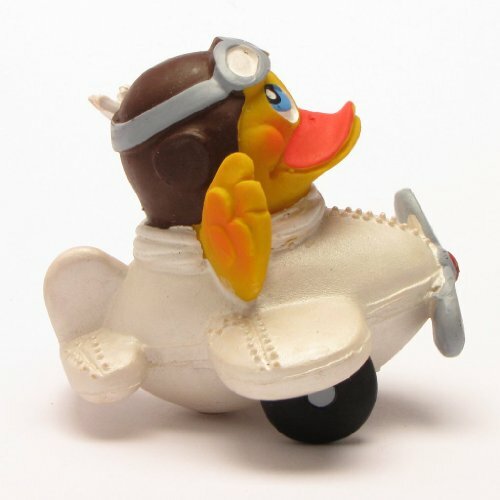 Spanish Lanco Toys have been making natural rubber toys since 1952 and this includes over 60 handcrafted (and very fun!) rubber duck designs! Materials Used: 100% natural rubber from sustainable Hevea trees in Malaysia. Toys are hand-painted with non-toxic, permament certified lead-free paints. BPA, PVC and Phthalate free. BeginAgain offer some cute non-toxic bath time toys aimed to inspire creative play and storytelling in toddlers and beyond. The bath also toys contain large openings to help water toys dry out and prevent mold build up. Materials Used: 100% natural rubber, sustainably sourced from the Hevea tree. CaaOcho make a great choice if you’re looking specifically for non-toxic baby bath toys. 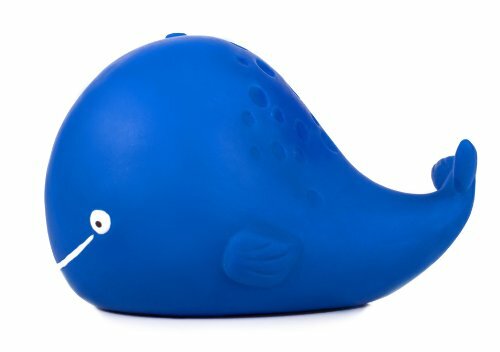 I love their simple, yet super cute ocean inspired designs, such as the Kala the Whale or Nalu the Seahorse, which are designed to promote development of baby’s senses. The hermetically sealed design also prevents mold growth and bacteria build up, meaning your baby gets a healthier ‘non-moldy’ bath toy to boot. Materials Used: 100% natural rubber, sustainably sourced from the Hevea tree. Food grade paint. BPA, PVC and Phthalate free. My Little Lady is a passionate artist! and I find bath crayons are a great way to keep mini creatives entertained in the bath tub. However, I’ve always struggled to find a brand of bath crayons that stated the crayons were truly non-toxic, apart from these crayons from ClearsHillHoney (US based). I haven’t personally tried these as I’m in the UK, but they look pretty good. Another fun alternative is to go DIY and make your own non-toxic bath crayons from natural ingredients – I’ve included a popular video tutorial below. As a microwave is involved in the tutorial, I’d personally stick to silicone molds over plastic ones. I’d also aim to use natural food colouring over those that contain additives (although colours tend be less vivid). 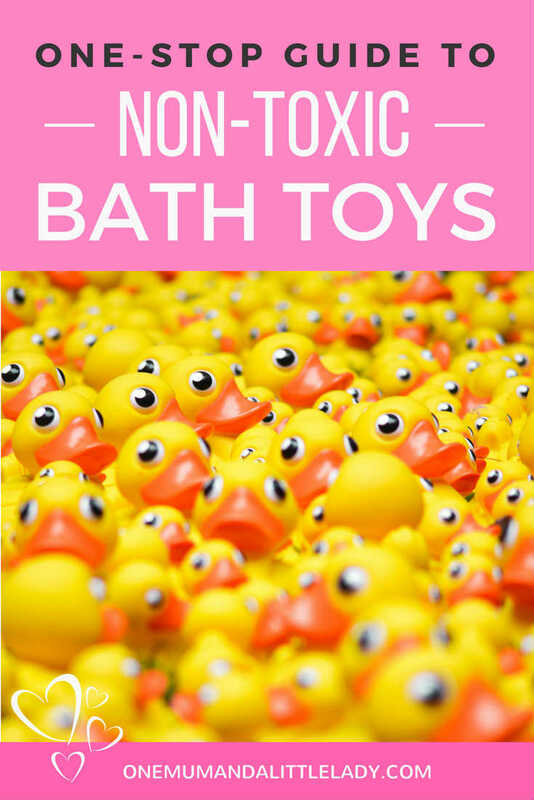 I really hope you’ve found this guide to the best non-toxic bath toys helpful. Bath time should be fun time and no parent wants to be worrying about toxins leaching into the bath tub! So choosing some bath time toys that are made from natural and more sustainable materials is a great step to take – for both your child and the planet. Do let me know in the comments section below if you have any personal bath time favourites of your own. Very good post I must say. Being a mother I can relate to all those mothers who remain conscious about toys material, as bath time is the favourite time for babies and they enjoy the most. Providing non-toxic toys to them make mums relax and fearless.I would highly recommend these toys made with natural material.